Milinex Vacuum Cleaner Stormvac Order Now! Clean-up with a standard vacuum can be such a drag. Make it a breeze with the lightweight vacuum that eliminates every cleaning hassle. The Milinex Power Storm Vacuum will exceed your every expectation of a high quality vacuum cleaner. Milinex Power Storm Vacuum cuts your cleaning time in half, by converting from an upright to a portable to a stick vacuum with supersonic 3-in-1 cyclonic technology for the deepest, most thorough cleaning you could imagine. Quickly convert the Milinex Power Storm to dust, vacuum couches, pick up spills, glide across tile and floors, and clean dirt deep out of carpets. Cleaning becomes effortless, thanks to the clever design that makes the Milinex Power Storm so lightweight and move quickly from room to room with a 30' power cord. You'll never have to replace a bag or recycle dust and dirt back into the air. 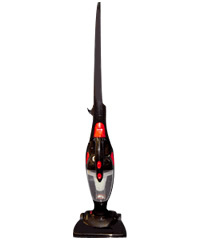 The revolutionary design of the Millinex Power Storm Vacuum keeps it consistently operating at full power for thorough cleaning, 100% of the time. When you're done, simply fold down the handle for convenient storage in any tight space. Change your interpretation of a clean house with the vacuum that outperforms any standard vacuum you can buy. Let the Millinex Power Storm Vacuum take the work out of cleaning your home.